STANFORD, Calif. – No. 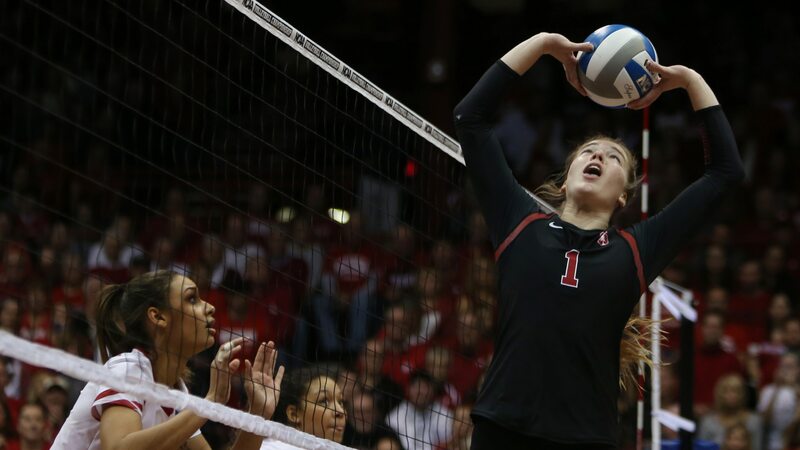 2 Stanford women's volleyball swept past No. 3 Texas, 25-15, 25-22, 32-30, Tuesday night at Maples Pavilion. Stanford (7-1) won its fifth straight match, including its third straight over a top-five opponent. The Cardinal also swept No. 5 Penn State on Friday and defeated top-ranked Minnesota, 3-1, on Sunday. Stanford, which won its 22nd consecutive home match, pulled out a wild third set. The Cardinal fought off four match points and rallied to win on back-to-back-to-back kills by Fitzmorris, Plummer and Gray. Junior Kathryn Plummer led the team with 13 kills and added 10 digs, three aces and three assists. Junior Audriana Fitzmorris added 11 kills with a .476 hitting percentage, while Gray led the Cardinal with 30 assists and junior Morgan Hentz finished with a team-high 11 digs. Stanford and Texas will play round two on Friday in Austin. First serve is set for 6 p.m. PT on the Longhorn Network.